The recently opened Baha Mar resort, in the Bahamas, is hiring a CFO. But you don’t have to be a finance expert to apply. The CFO at this $4.2-billion Nassau resort will actually be the Chief Flamingo Officer, responsible for supervising the resort’s flamingos that, Cosmopolitan reported, will arrive this spring. The title is interchangeable with Avian Manager. Baha Mar’s Chief Flamingo Officer will be responsible for caring for the property’s “flamingo collections,” and for creating a “Beach Sanctuary experience that will leave a lasting impression on guests,” according to the official job listing. The CFO will also oversee guest interactions with flamingos and “ensure guests are ‘wowed’ by Baha Mar’s animal exhibits.” He or she will report directly to the Avian Curator. When the flamingos arrive at their glitzy new home, Cosmopolitan reported, they will be housed in a so-called Flamingo Mansion with a mix of water and land elements. 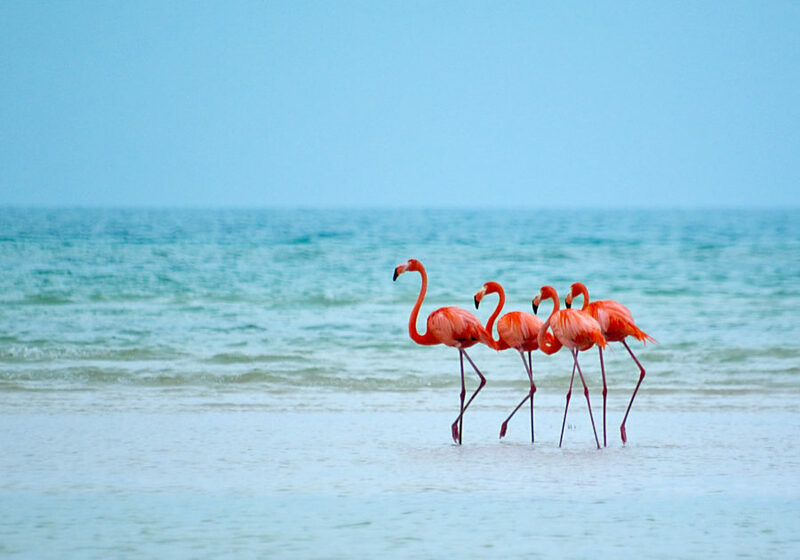 Travelers who would rather hang with flamingos instead of working with them can visit while staying at the Bahamian resort complex. In addition to an already opened Grand Hyatt and SLS, the property’s Rosewood resort section will open this spring.